After payment you get a link on which you can get a license key (CD KEY) with the game Aliens vs. Predator Collection from the official supplier - the company "Buka", for activation in the system STEAM. The game will take you to the legendary war between two famous science-popular characters. 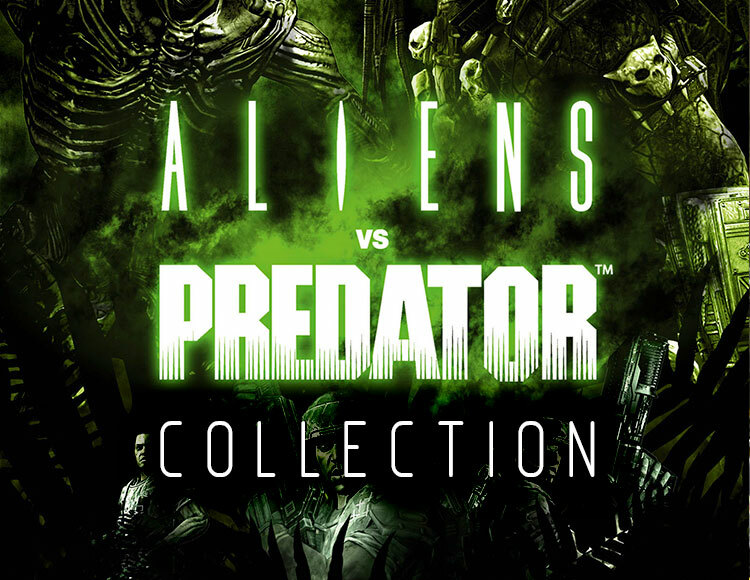 In AvP there are 3 unimaginable campaigns and a unique joint game, which includes 3 modes. New unforgettable impressions and a new first-person gameplay for survival. Hold a hunt in the deadly jungle and on a colony surrounded by swamps. Choosing a Marine, you doom yourself to fear and claustrophobia. Light is your friend, but it is always small. However, the US Marine Corps is the last line of human defense, and you are entrusted with the latest innovations in firearms and explosive devices. Selecting the Predator, you will quietly sneak up from the shadows, climb trees and from a height suddenly fall on the opponents. Your arsenal is a powerful, exotic weapon and sensors. But the honor of the Predators puts an ultimatum - when meeting with the enemy one-on-one, you must take the trophy in a fair fight. Selecting the deadliest form in the universe, you are given the opportunity to get used to the skin of the creature of the worst nightmares. Strangers - they are teeming with darkness, their jaws - steel traps, and claws - sharpest blades. Play for either side against each other in three multiplayer modes. AvP uses the Steam Cloud to store game statistics and information about skills and abilities, with which it selects suitable opponents.